The naval transport sector is continuing to grow twice as quickly as the rest of the economy, with increased technological requirements but tighter market prices. At the same time, engine technologies, anti-pollution regulations and the fuels available continue to evolve. 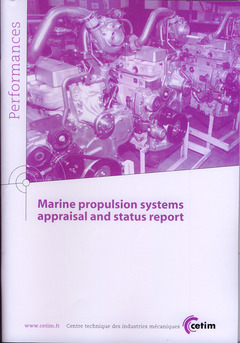 In this context, the manufacturers of French marine engines (MAN Diesel, Moteurs Baudouin, John Deere) need to take stock of the existing marine propulsion systems worldwide in use, their development trends, the alternatives available, their advantages and their disadvantages (output, size, weight, cost, etc.). A respective study was ordered at AVL by the Motor & Compressor professional commission of Cetim, the technical centre of French companies of construction machinery. The study consists of three main parts: A. a technical and economical overview of the available marine engines and propulsion systems, B. a detailed evaluation of selected variants according to the involved members of the project group, C. an outlook on technical and economical trends.